Free time tracking software to use on your own or as a team. 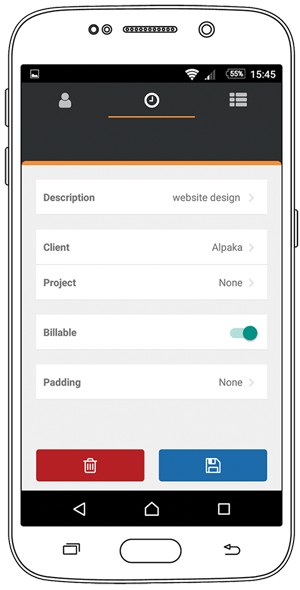 Alpaka Punch is a simple time tracking app for client billing and calculating staff productivity. 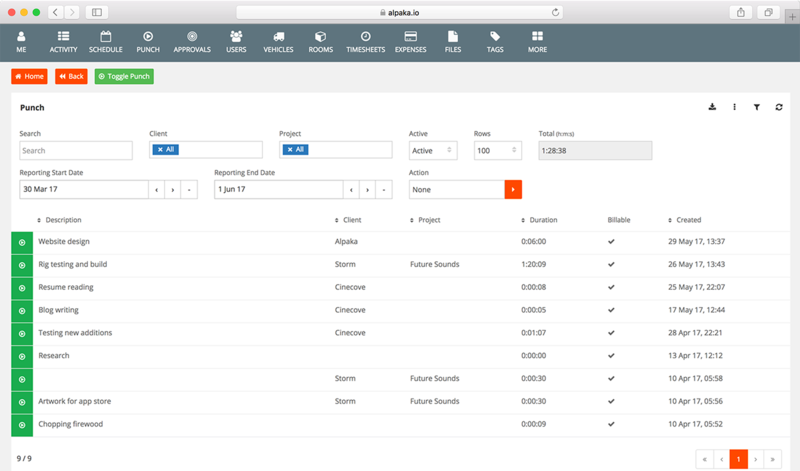 Punch can be used by individual freelancers or your whole team. Punch will keep on top of who did what, when and for how long. The native iOS and Android apps synchronise with your online Alpaka account to make managing your clients and tasks easy. Alpaka Punch requires your own Alpaka subscription but you can try it with this fake one before you sign up. please forgive them if they have left behind their potty language. Download or export to calendar, timesheets and accounts. 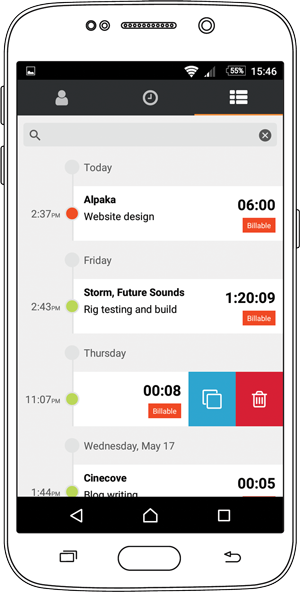 Alpaka Punch is a free time tracking app. You can create an account for Punch only using the link below, this means you will not begin an Alpaka trial which will expire or start to charge you for the additional features Alpaka has to offer. Alpaka Punch is part of the whole Alpaka product. The 14 day free trial is long enough for you to try nearly everything as well as Punch. During the trial we hope you will have a chance to contact the Alpaka support superheroes and speak to them about your expectations and how we can best meet them. At the end of your trial we would love to know what you liked or disliked about Alpaka, we constantly work to improve our software and the time it can save you. If you want to continue as a Punch only account for free forever after the trial just let our support team know.